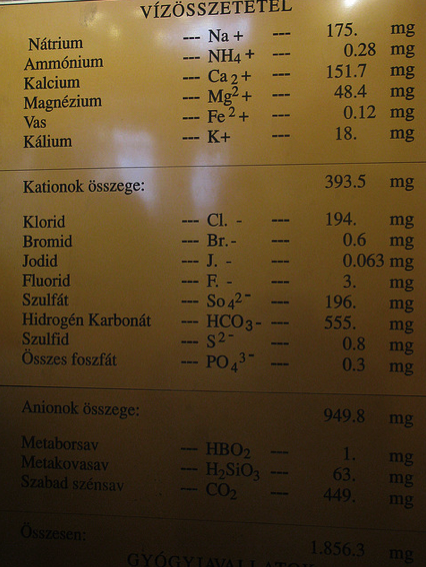 Home / Baths Guide / What are the Minerals in the Spring Water of Szechenyi Spa Baths? 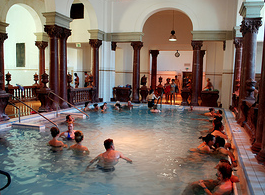 What are the Minerals in the Spring Water of Szechenyi Spa Baths? 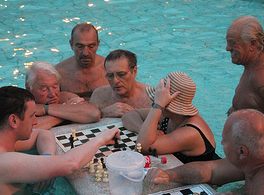 The natural spring water of Szechenyi Baths comes from St Istvan (Saint Stephen) Well Nr. 2 (this spring well was opened in 1938, the first wells of Szechenyi Baths were found by Vilmos Zsigmondy whose statue you can see in front of Szechenyi Baths). The well of Szent Istvan is a naturally hot water spring, which contains various valuable minerals, like sulphite, sodium, calcium, magnesium, hydro-carbonate, fluoride and metaboric acid. 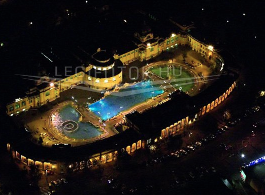 The water of Szechenyi Baths is very high quality, and is also presribed by doctors as a drinking therapy. 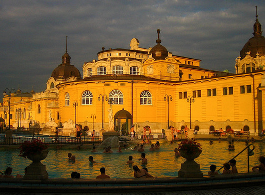 You can not only use the fantastic pools, baths, saunas and free aqua fitness classes at Szechenyi Furdo, but you can also drink its water (of course not from the pool…). The drinking well has proven medicinal effects. However, it is not recommended for everyone. 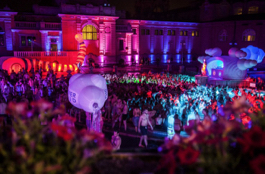 Please consult with one of the personnel at Szechenyi Baths, or beforehand your doctor, if you can drink its waters safely. The water of the Drinking Well contains magnesium, calcium, chloride, hydro-carbonate, sulphate, alcalics, and please be aware, fluoride too.